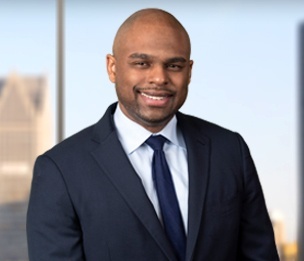 Boyd White III is a member of Dykema's Products and Professional Liability Litigation Group in the Detroit office. Mr. White is experienced in all aspects of commercial litigation including discovery, trial pleadings, depositions, preparation of witnesses for trial and conducting trials. Immediately prior to joining Dykema, Mr. White served as an Assistant Prosecuting Attorney in the Office of the Oakland County Prosecutor, where he tried 20 cases to verdict including both bench and jury trials. Additionally, Mr. White conducted in excess of 75 preliminary examination hearings. During his association with an AmLaw 200 firm, his civil trial experience was highlighted by his involvement in a week-long federal bench trial involving alleged banking losses suffered in a phishing scam, where he conducted direct examination of defense witnesses. A 2011 graduate of the National Institute of Trial Advocacy (NITA) Midwest Trial Training Program, Mr. White also completed three additional trial training programs. Migdalewicz v Hollie, Oakland County Circuit Court, Pontiac, MI (2018). Trial counsel for defendant driver in auto negligence claim involving a collision between an SUV and a bicycle. Plaintiff requested 3 Million in damages at trial. Defense verdict.